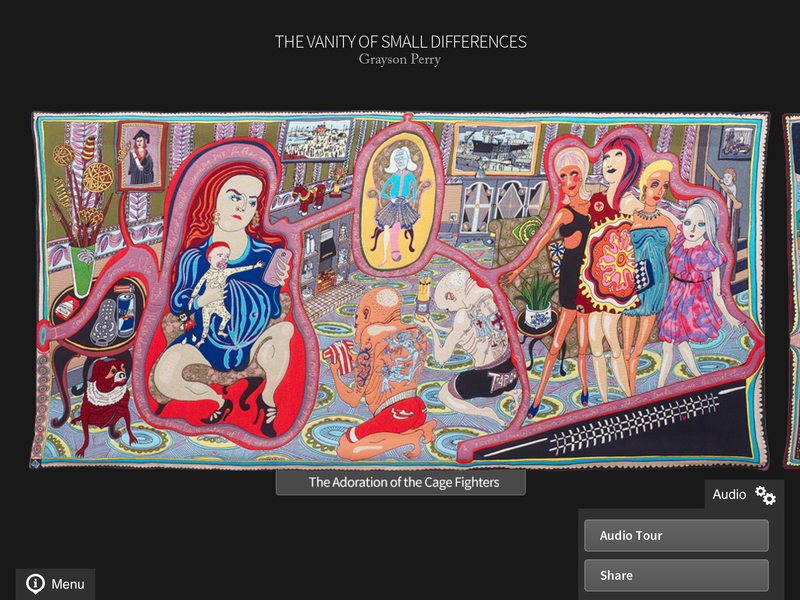 Yesterday the next leg of the tour of Grayson Perry’s tapestries opened in Manchester City Art Gallery. We have created a new kiosk version of the app to play on the two iPads that are available in the gallery for visitors to explore alongside the tapestries. In the first version of the Grayson for Galleries app that we created for the Sunderland show all the external links are disabled and it works in the special single app mode that Apple support called Guided Access. For this new Manchester version we have added an inactivity function that when the app hasn’t been used for 2 minutes switches it to play the video above. We are looking at more ways to make the both this Gallery version and the version in the store work for visitors but if you get a chance to visit and you can tear yourself away from the amazing tapestries take a look. Or better still buy the app from the app store then you can go along to the show and (with your headphones plugged in) hear Grayson talk about each of the six tapestries.